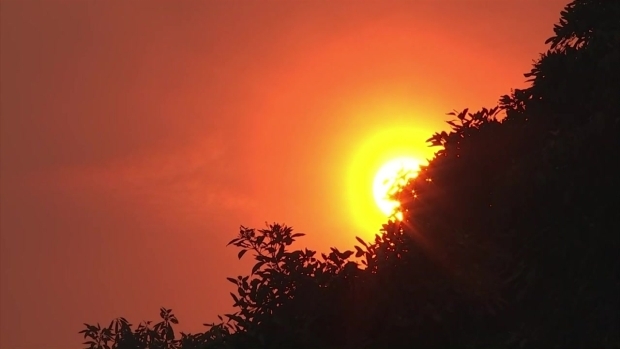 A 40-acre brush fire threatened at least a dozen homes in La Verne on Sunday afternoon, according to the Los Angeles County Fire Department. The Rodeo fire was reported around 3 p.m. on Rodeo Lane. Two hundred firefighters were on scene at the height of the blaze. Voluntary evacuations were advised for residents who live on Rodeo Lane, police said. Those evacuations were lifted by 7 p.m., fire officials said. No homes were damaged in the fire. Cellphone video and aerial footage from NewsChopper 4 showed flames in the backyard of several homes. 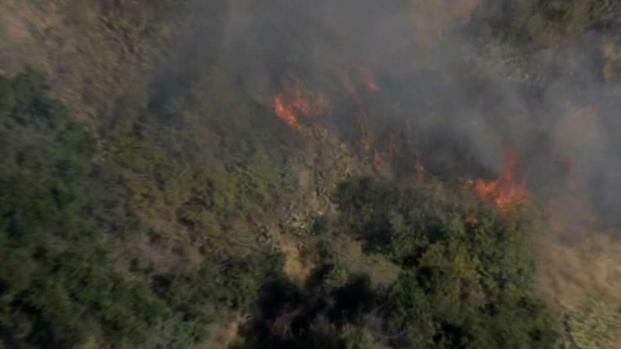 Firefighters from La Verne and Los Angeles County were battling a slow-moving brushfire that charred about 20 acres. Christine Kim reports for the NBC4 News at 6 on Sunday, July 23, 2017. "There were flames in my backyard," homeowner Evelia Arriaza said. "It happened so quickly." The Rodeo fire was also impacting traffic in the area. Baseline Road was open in all direction as of 9 p.m., but Rodeo remained closed north of Baseline, police said. Police also reported the city suffered a power outage during the fire fight in the area of Bonita and I streets. Power was restored to most customers within an hour. It's unclear why the outage occurred or whether it had anything to do with the brush fire. Firefighters attacked the flames with both ground crews and at least one water-dropping helicopter. 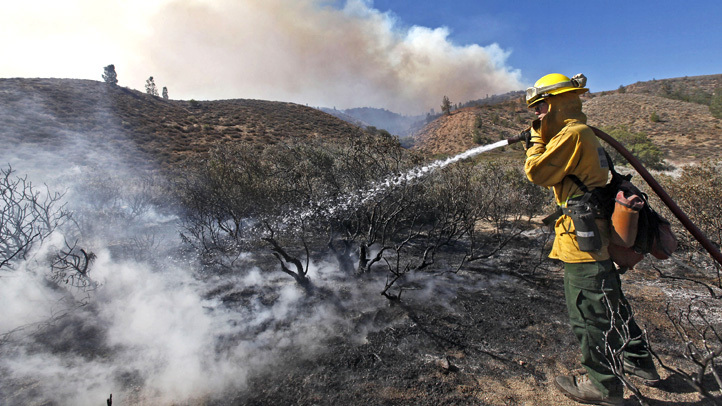 Officials added that a close by reservoir and proper brush clearance by residents helped aid in the firefight. 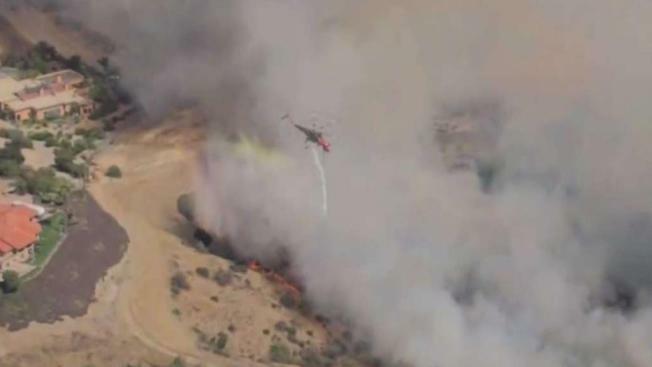 The fire was 50 percent contained as of 11 p.m.
City News Service and NBC4’s Christine Kim contributed to this report.